Have you been taking singing lessons for a while now, but you are still not seeing a difference in your voice? 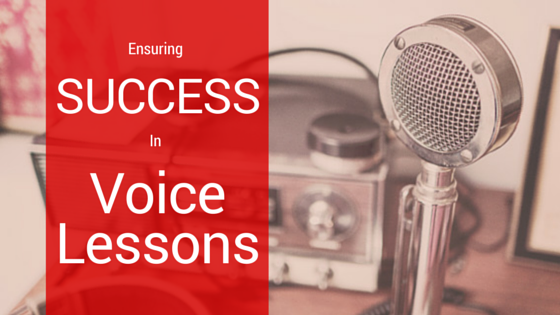 Do you feel like you are not achieving success in your voice lessons? Are you not reaching the goals you set for yourself? Well, read on! We have the answers to these questions and more. So, you’ve had lessons for a while but you haven’t seen a difference in your voice yet? If you answered no to this question, then we have another question for you. Do you practice in between your lessons? This is the biggest suspect of not seeing a difference in your voice after having had singing lessons for a while. If you don’t practice what you’ve been taught, then you’re not likely to see the difference you expect in your voice. Ask your teacher what you should be practising, how often you need to do it and for how long each time. They should be able to give you achievable guidelines that you can stick to between lessons. This will go a long way to ensuring success in voice lessons! The other side to this question is to be sure that your teacher is teaching you what you want. For example, if you are an aspiring rock singer, but your teacher only teaches classical then you might want to rethink your teacher choice. Or, if there is a big focus on breathing but you feel like your breathing is OK, you might want to speak to your teacher and ask why this is a big focus in the lesson. Let your teacher know what you want to learn and they should work with you to achieve success in your voice lessons. Do you feel like there’s something missing from your voice lessons? So, the answer to this question will be another question – what do you want from your voice lessons? If you make a list of things you want to achieve from your lessons, then tick off the things your teacher has looked at, you’ll be left with the things you feel are missing. Remember, you are the student so you get a say in what happens in your voice lessons. Your teacher will know what you need to work on functionally, but they should always work with your goals in mind. If you find that your goals are being ignored, maybe it’s time to bring this up with your teacher or even try somewhere else if this doesn’t get you anywhere. You want to be having success in your voice lessons, so be vocal about what you want. Do you feel like you aren’t reaching your goals? These should all be sympathetic to each other – i.e. the long term goal should be building on the short term goal. Your teacher should be able to help with this if you ask them; you want to be sure that these are achievable for YOU as a singer and detailed enough that they fit with your lifestyle and voice type. Don’t write something like “I want to sing like Mariah Carey” for your short-term goal. Try something like “I want to finish X song” instead – this is much more sustainable. This will help you to cut down your goal into bite-size chunks and feel like you are more successful in your voice lessons. If you are still having trouble after these tips, perhaps it’s time to try another teacher who will help you get success with your voice. If you would like to try a lesson with one of us, please get in touch via the Contact Us page. You can also find us on Facebook, Twitter and Google+. Don’t be shy, tell us what you want to achieve and we’ll work with you to ensure success in your voice lessons.